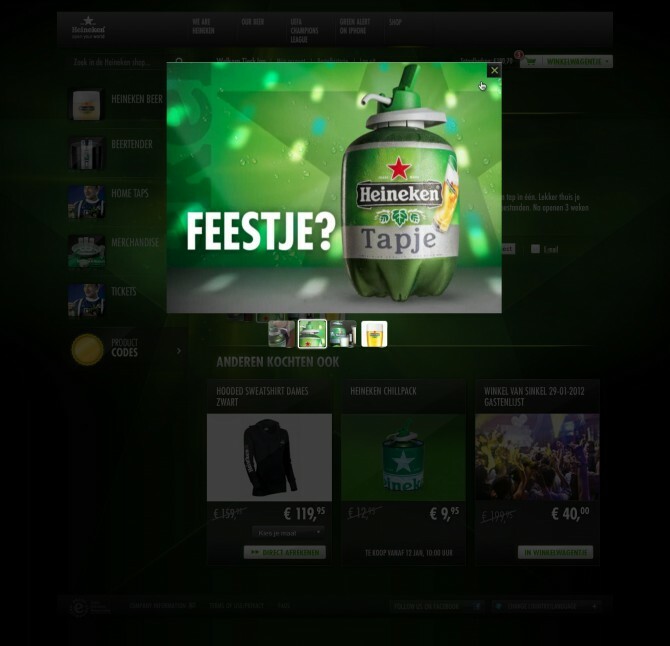 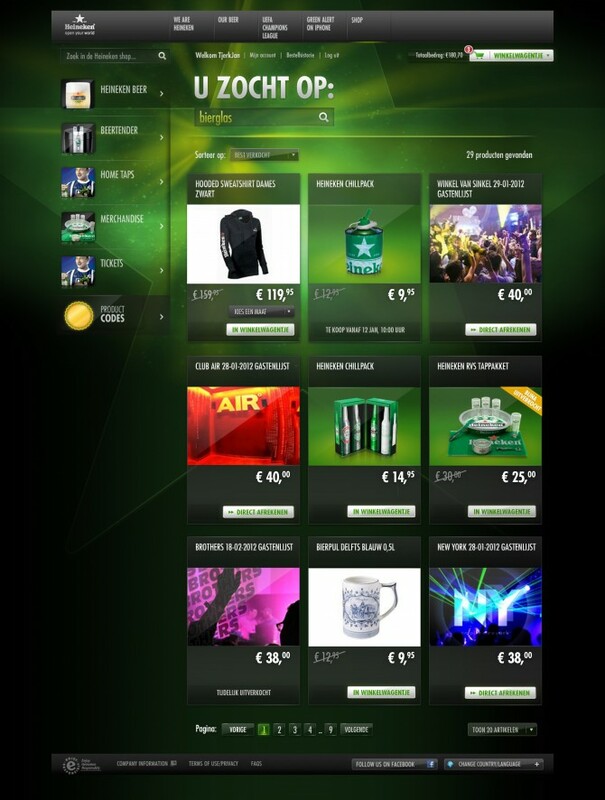 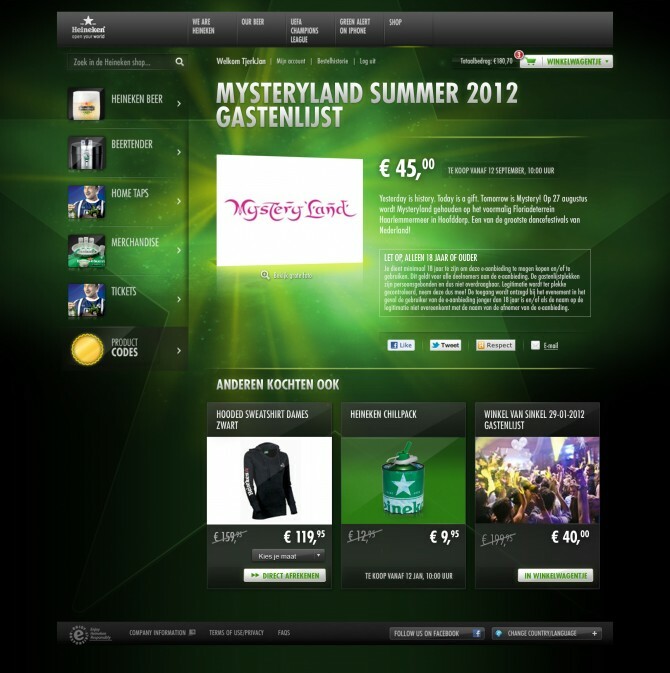 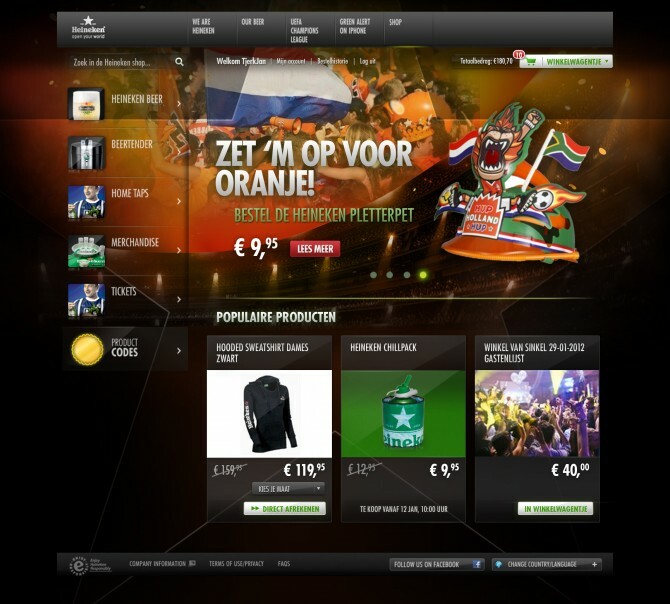 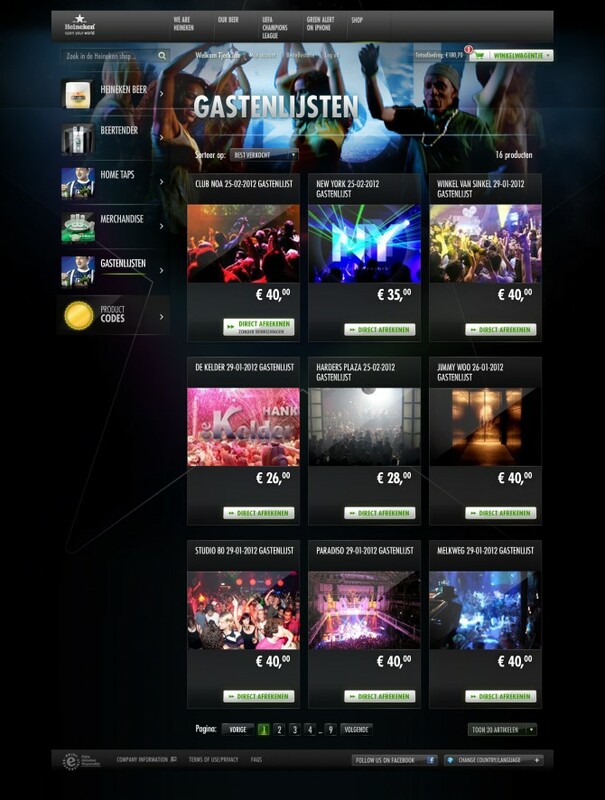 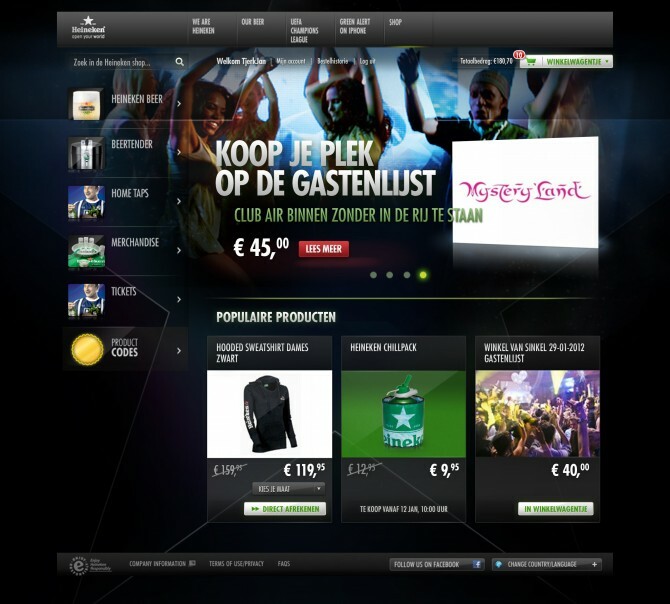 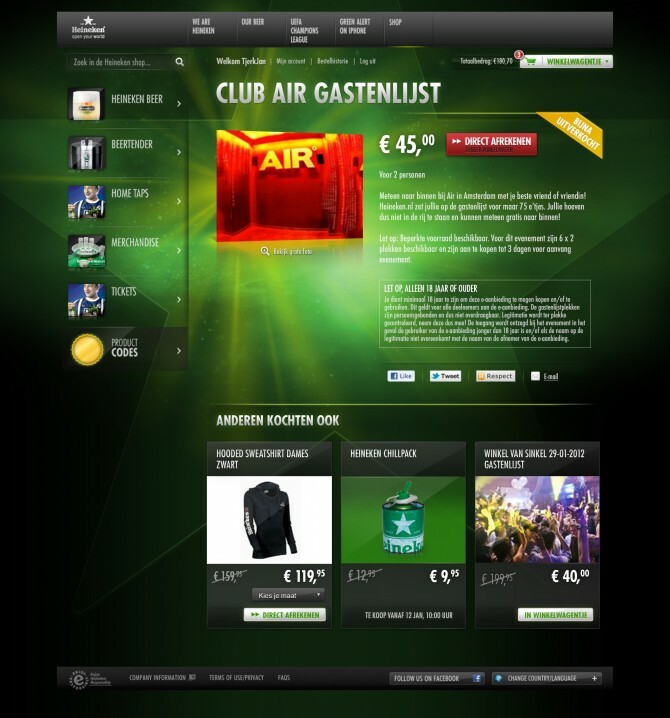 Merchandise, party tickets, and of course the official Heineken glass are sold online. 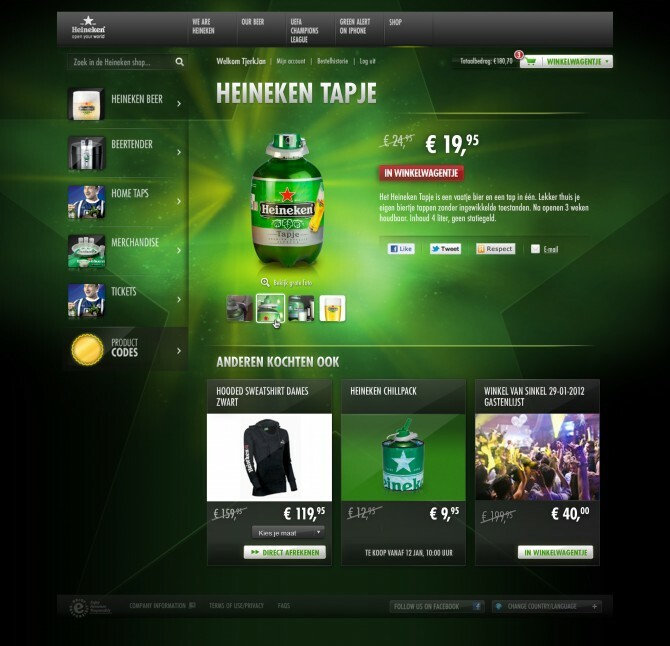 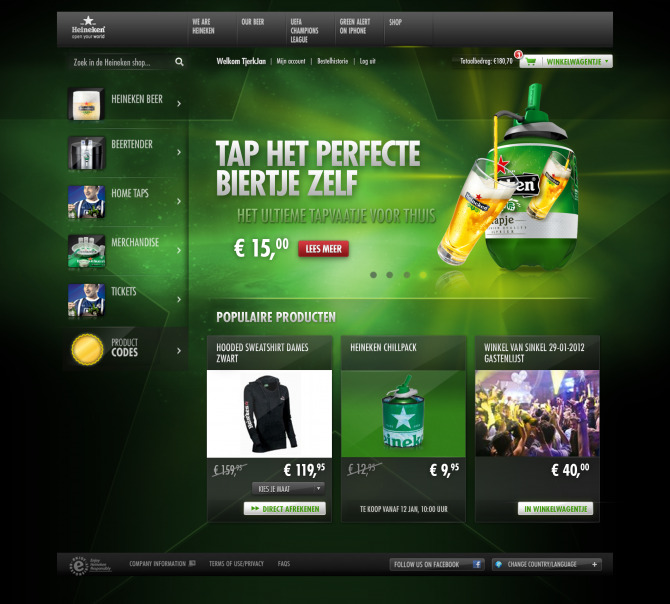 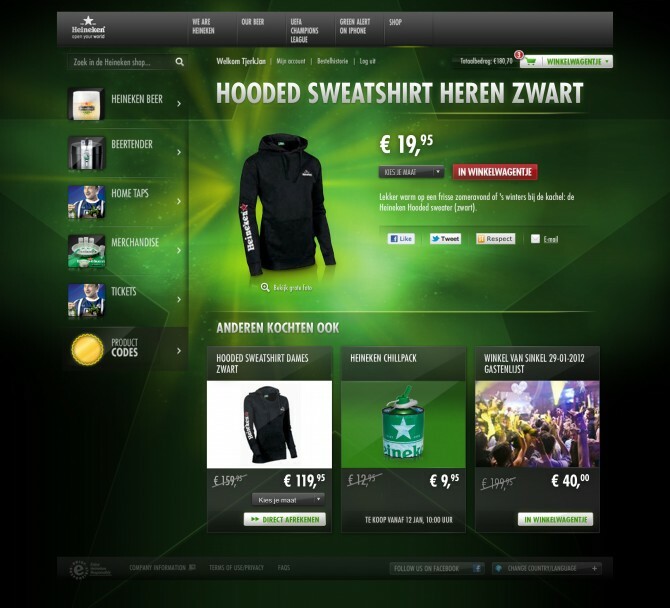 The new shop complements these goods with its premium Heineken look-and-feel and feels safe and solid during check-out. 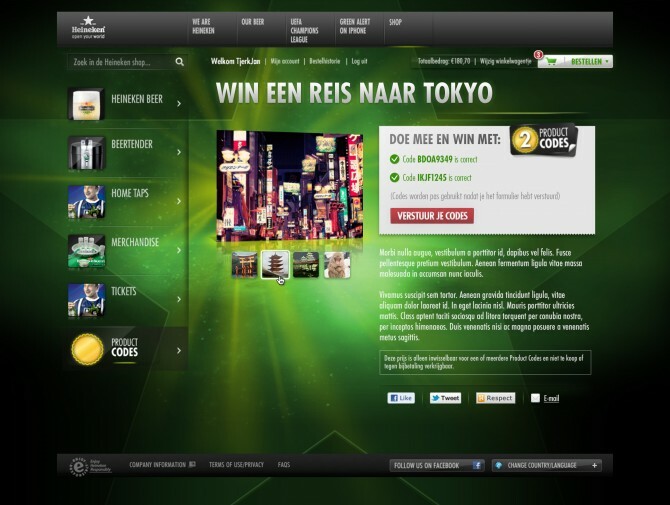 The design extends the global design by AKQA. 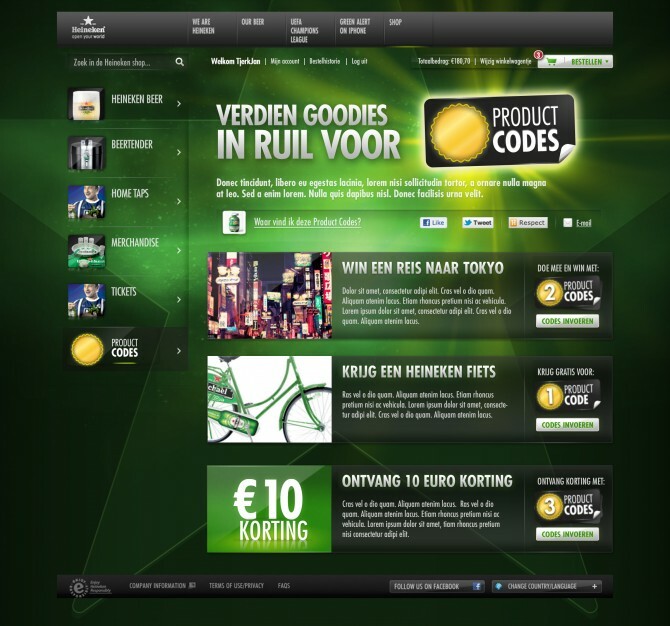 In close collaboration with Tjerkjan Oord. 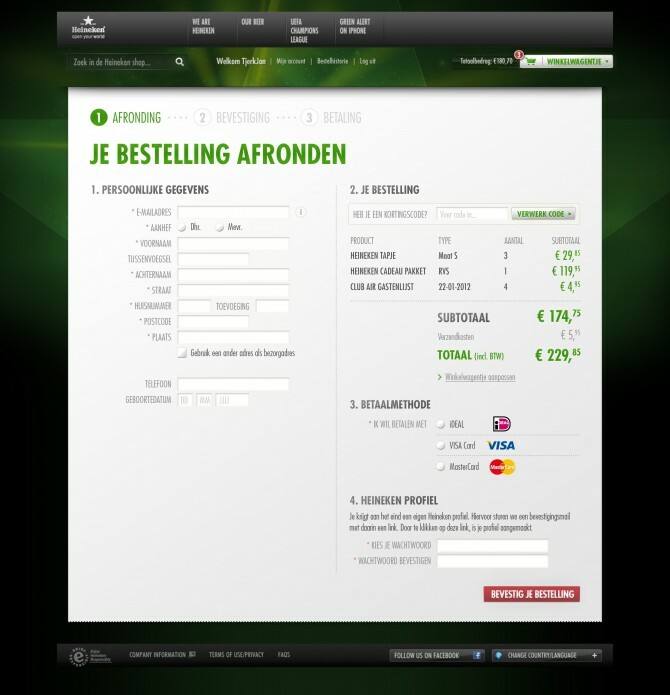 Commissioned by Fitzroy.